I’m far from an expert in the nutritional supplements field, but I have become increasing more aware of my nutritional intake and the supplements I take. My mother got me into taking Vitamin C from an early age and I’ve been taking it twice daily for as long as I can remember. Lately, I’ve been doing more research into what additional supplements I should be taking as I get older. The best way to increase your chances of getting the vitamins you need is by eating a healthy, well-rounded diet. While it’s always important to eat well, it becomes especially important around age 40 because that’s when things start to change. The following list is by no means complete, but here’s what I’ve found and what I’m currently taking. Antioxidant Vitamins: Antioxidant vitamins help keep your cells healthy and boost your body’s ability to fight disease and premature aging. Grains, beans, apples, cherries, plums, avocados, pineapple, kiwi, artichokes, spinach, red cabbage, potatoes, and broccoli are a few foods rich in these vitamins. B-Complex Vitamins: Converts calories from carbohydrates, protein and fat into energy your body can use. B-12 is essential for normal blood and brain function. Fish, meat, poultry, dairy products, beans, eggs, grains, and nuts are good sources of B vitamins. Any time after 40 is a good time to start taking B12 supplements. The great thing about B-12 is there’s no need to worry about taking too much because it’s a water-soluble vitamin, you pee out what you don’t need. Bone-Building Vitamins: As you age, you run the risk of losing bone density. Vitamin K is abundant in leafy green veggies such as spinach, while animal products and dairy provide Vitamin D.
Vitamin D-3 is a biggie and has been getting a lot of press lately, especially after age 40 because it helps protect against age-related changes that start happening. Vitamin D deficiencies have been linked to heart disease, diabetes, multiple sclerosis, and breast and colon cancers, all of which are more likely to crop up the older you get. Also, Vitamin D is essential for absorption of calcium in the body. D-3, is produced by your skin when it’s exposed by the sun and it’s not stored in fatty tissue. D-3 develops stronger bone by binding with calcium. It also helps with heart disease, elasticity of arteries, and blood pressure. Also, it reduces the risk of Type 2 diabetes and has been shown to reduce the risk of certain cancers. 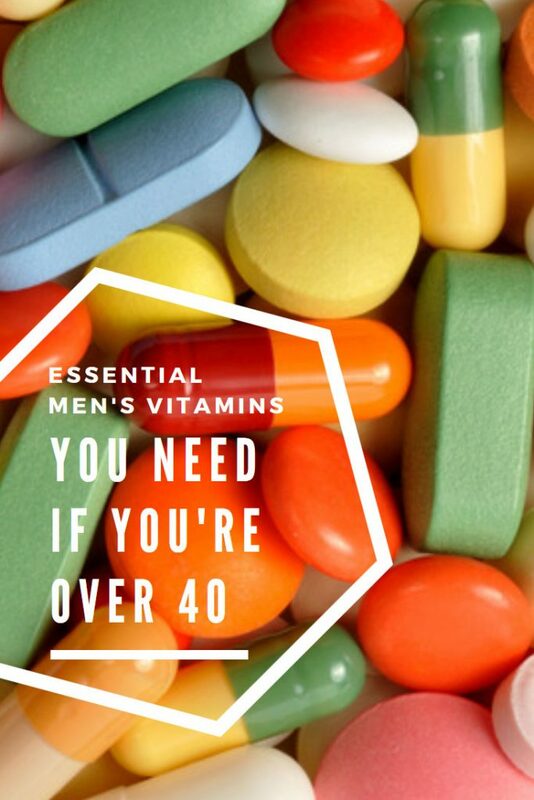 Click the images below for direct links to Amazon for the vitamins I’m taking. If you’re not currently supplementing with vitamins, I highly encourage you to start thinking about it. I’m definitely going to have to share this with my dad to make sure he’s getting all the vitamins he needs! Hi Laura, Yes in deed. If he’s not taking anything, this will help. Often times we forget to take care of ourselves when we are busy taking care of others. This is a great post to remind us to take care of out health. I will share this with my husband and friends. Thank you. Wonderful article on health. I think this can help lot of people. Great work!! Twinkle, Thank you for your comment! Not getting the vitamins and minerals that your body needs can have serious consequences for your health.